Today I realized that there are a number of nifty things going on in my ‘nabe that I have failed to mention. Here they are. 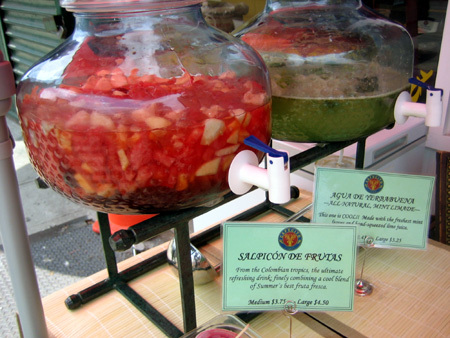 Starting this weekend Cafecito will be selling fruit ices, juices, punch and mint limeade every Saturday and Sunday. I tried their limeade today and it was fantastic! Tart, with just a hint of sweetness. Give it a shot, I doubt you’ll regret it. I have also heard their hot chocolate is wonderful, though this may not be the season for it. 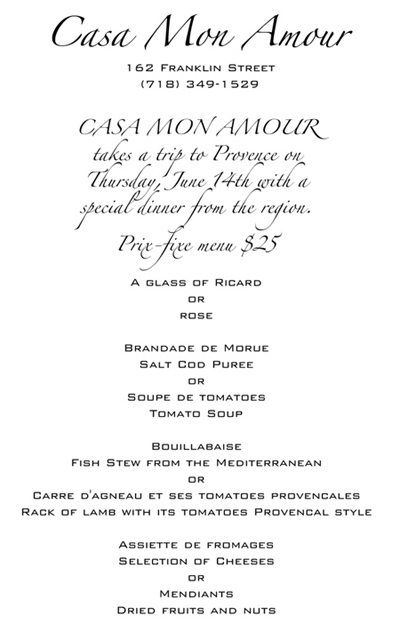 Few people seem to know that Casa Mon Amour hosts an evening of French cuisine each month. This month’s offering is French Provincial, my personal favorite. Those of you who are interested can R.S.V.P. via the above phone number. Caveat: best to do so sooner rather than later, they get booked pretty fast. 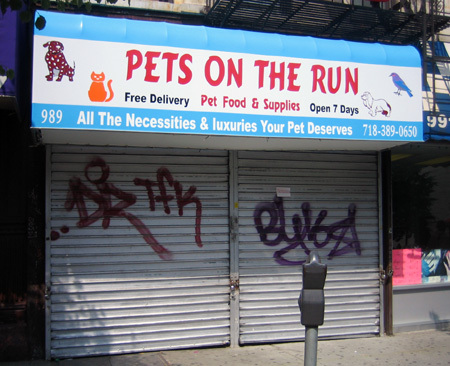 It looks like north Greenpoint is going to get its first pet supply soon. I have no other details save that this store will be located at 989 Manhattan Avenue (between Huron and India Street). That said, I would be remiss if I didn’t mention that the City Dog Lounge (located in Long Island City) does deliver to Greenpoint. My husband and I have purchased our cat food (and of course, cat litter) from here for some time. The proprietress, Hanna, came come off as being brusque but don’t let that put you off; she’s actually a very nice person. More importantly, she is painstakingly punctual when it comes to making deliveries. All you need to do is go there, set up an account and you’re good to go. Hello Alter friends & family! Summer time is officialy here! That calls for a party. Come down to Alter this Sunday, June 10th from 12-5 PM for some free champagne, lots of great new mechandise, and recently marked down Spring attire. 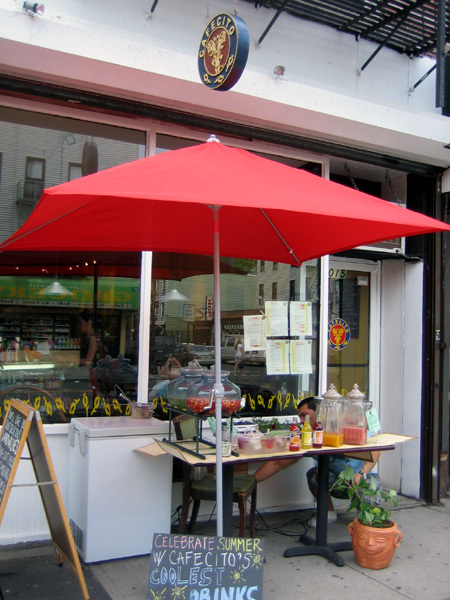 Check out our blog at: http://www.alterbrooklyn.com to see our mention in the most recent TIME OUT NY. They did a fab article about Greenpoint. Alter is also reviewed in this months issue of PAPER Magazine, yee-haw! Yeah, I disagree with their opinion of TONY‘s article(s), but they’re amazingly talented and very nice chaps nonetheless. 109 Franklin Street @ Greenpoint Ave.
Sunday, June 10th, is also when Forgotten-NY will conduct it’s 30th tour right here in Greenpoint. You can get all the deets here.